Tapis d'Automne originally uploaded by code poet. From all of us at Wear-Dated, to all of you who read The Carpetology Blog, we wish you a wonderful and beautiful Thanksgiving. We hope that carpet will feature as a prominent backdrop to your holiday celebrations - both inside and outdoors - as you celebrate with family and friends. Remember, if you encounter any Thanksgiving dinner stain mishaps, no worries! Just visit the Wear-Dated website Stain Removal Guide where we offer advice for berry, butter, gravy and wine -- and everything in between. And, here, we show you how best to remove a carpet stain in A Foot's Perspective - Episode 15: How To Remove Carpet Stains. You see, there's a technique to it. Thank you for celebrating all things related to carpet with us. Something I struggle with across many product categories - including carpet - is evaluating quality. Think of it. How do you know that something represents high quality when many of the parameters that affect performance, durability and quality are ones that you can't readily evaluate in a store? And when lesser quality products often look comparable to those of higher quality -- even though they aren't? That's how the Wear-Dated brand and warranty came about when it was first launched in 1962 - to offer peace-of-mind to consumers and assurance that the end product [then, apparel and eventually upholstery fabrics and, now, carpet] made with our fiber would perform consistently and satisfactorily over time. Even though we are but an ingredient in the overall product, we offer an assurance of performance, of carpet quality and durability. Because we have strict carpet construction parameters to adhere to and product performance tests that carpet must pass before it can carry the Wear-Dated brand. Okay. But, what affects quality in a carpet? Wouldn't you like to know? If you're like me, you're paying closer attention than ever to quality. When I buy carpet, I'm looking for something that will look beautiful, be comfortable and last for a significant period of time. I'm looking for durability, for quality. Not for something quasi-disposable that I'll have to replace in a year or two. Aren't you? But understandable when carpet quality seems so... fuzzy. So, back to my question, what affects carpet quality or durability? On the Wear-Dated website, we discuss Carpet Durability Factors and specifically refer to three factors affecting carpet durability: fiber type, density and twist. Fiber type is the basic building block or "foundation" of carpet quality and the type of fiber will affect how well a carpet performs over time. The best carpet fiber is nylon. Nylon comes in two different 'flavors;' nylon 6,6 [vs. nylon 6] is the better of the two. Nylon and Nylon 6,6 positively affect durability and quality. Check out the fiber comparison chart on the Wear-Dated website where we illustrate the differences between fiber types. Then, twist which relates to "how tightly the pair of yarns in each carpet tuft is twisted. It is expressed in a #/inch of length. The tighter the twist in the yarn, the higher the number, the better the performance." Those are the major factors. The next two are weight and pile height. Weight tells you how much fiber is in carpet. However, it also "is a function of the pile height and density combined" where density is the better performance measure than pile height. Pile height is a matter of personal choice and preference, varying based on carpet style and practicality. It represents the distance from the carpet backing to the top of the carpet tufts. "'Deep pile' is plusher, but can also show tracks and vacuum marks. 'Lower pile' height is firmer and may be preferred where wheeled furniture or toys are being moved around." Definitely check out the labels on the back of carpet samples. Many will capture most of this critical information. Here we offer guidelines on how to interpret a carpet label. The Carpet & Rug Institute describes the various carpet performance ratings that you might encounter on carpet sample back labels in Carpet Comparison Made Easy. Also, read How Carpet is Made from the WFCA. Do you feel a bit more comfortable appreciating carpet quality? I hope so. originally uploaded by Moody Mari. I'm partial to carpet. Not just because I'm associated with Wear-Dated. It just feels better. Although carpet captures terrific benefits [as you can read below], it's a matter of how all of those benefits translate into a product that feels good physically and psychologically. Not only does it contribute visual interest and texture to my space, but it helps me express my sense of style because of the variety of constructions and styles available. In short, it makes for a perfect backdrop for life. Not unreasonable, right? Do you feel the same way? I've lived in totally un-carpeted spaces and yearned desperately for softness underfoot - even in tropical locations! As much as I was grateful for cold, cooling concrete floors, that rug or carpet made such a difference when I went to bed or got up in the morning, or just spent time in my room. In cold locations, even a wood floor felt unwelcoming. If area rugs were strewn about, I would hop from one to the other in an attempt to keep hard and harsh reality at bay and my toes warm. In both extreme locations, my floor was part of my design scheme and, if it didn't coordinate with the rest of my room, I was unable to relax and get comfortable. Carpet made a difference during college. I fondly remember the multi-toned grass green shag carpet I purchased from a departing senior for my dorm room [for $20]. I paired that up with bright and colorful tulip-patterned fabric for curtains, an unzipped forest green nylon sleeping bag as bedspread and a riot of pillows on the bed. Oh, the look of it! And the practicality of it, too! It truly expanded the usefulness of my room, making it welcoming and comfortable. On the Wear-Dated website, we discuss carpet benefits in How Carpet Is Constructed. "Visual and physical warmth" may be the most obvious. But, what about how much more comfortable a carpet makes the floor? A carpet means that you can actually sit on the floor without needing chiropractic intervention when you get up. Think about it. Especially with the holidays around the corner. Haven't you spent time on the carpet assembling large puzzles? or playing with a train set? what about racing cars? I bet you're looking forward to putting some toys together there, too! I used to do a great bit of sewing. I pinned my patterns and cut out the pieces from the floor. It was the best work surface I could hope for. 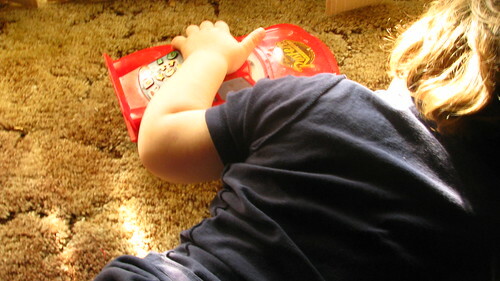 My daughter spends all of her time [not counting sleep, meals or homework - well, some sleep] playing on the floor of her room [see A Foot's Perspective - Episode 6, for example]. Yes, it's carpeted and forms a lovely backdrop for her activities. The house in which she learned to walk did not have as much carpet as our current one does. Her first steps took place in the carpeted area which is where she crawled and played. Unfortunately, the stairs there weren't carpeted and the tumble she took down those steps was scarily impressive. Yes, our stairs are now carpeted. I agree that there's a place for carpet and a place for other type surfaces. 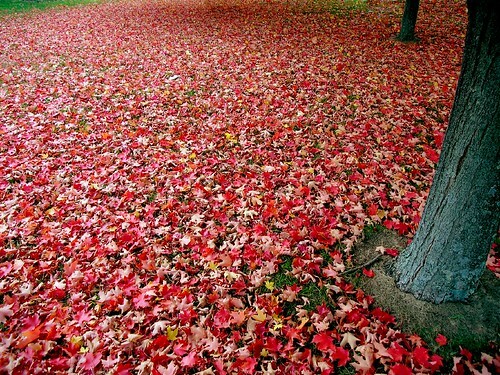 However, in my home, carpet offers more comfort and beauty than do the others surfaces. Furthermore, as I've cranked the heat down for the winter, I'm even more grateful than usual for the additional warmth, insulation and visual benefits that carpet has to offer. A Foot's Perspective - Episode 17: Wow Carpet! This episode of A Foot's Perspective comes from the Marriott Town Place Suites in Kent, WA and describes what I consider to be Wow Carpet! I had never stayed in a Marriott Town Place Suites before. In fact, I had no idea they even existed. What I now know and greatly appreciate is how they have created a fantastic and inspiring carpet style experience. The carpet style you see pictured here features a wild striped/circle pattern where the pale yellow part of the pattern is a textured construction whereas the red part is a loop construction. The pattern works very well in the space: whimsical yet also grounding. Enough visual interest to make the room comfortable and energizing, but not so much that you felt overwhelmed or uncomfortable. I didn't capture all of the furniture in the room as they were much more subdued. In fact, they were unpatterned [i.e., solid colors] and dark except for a red cushion on the sofa. Why don't you experience the effect for yourselves? For the most recent episode, visit A Foot's Perspective - Episode 16: The Wear-Dated Office. Or you can scroll through previous blogposts with links to all previous episodes of A Foot's Perspective. Thank you for watching [and reading!]. Okay, we admit it. Sometimes, people think carpet is boring. I know. It's shocking. But if you've read anything that we've ever written here at The Carpetology Blog, you know that we firmly and passionately disagree. We think carpet is fascinating, right down to its molecular structure. Which is what brings me here today. There's a whole science to Wear-Dated carpet that one just doesn't recognize when shopping in a typical flooring retail store. History helps put it into perspective. In case you didn't realize, Solutia Inc. is Wear-Dated's parent company. Solutia, a spin-off of Monsanto (a name you probably recognize), is a performance materials and specialty chemicals company headquartered here in St. Louis. This is a fancy way of saying that the company uses science and technology to develop innovative solutions for customers. According to the company Web site, "Solutia creates performance materials that are used primarily in the automotive and architectural, transportation and industrial markets." One of these materials is Nylon 6,6. Nylon? Like pantyhose, you ask? Actually, kind of. Rayon, the first manmade fiber, was invented in the 1800s by Count Hilaire de Chardonnet, a French chemist who was trying to find a cheap substitute for silk. But the first truly synthetic fiber was patented by Dr. Wallace Hume Carothers, the “Father of Polymer Science,” in the early 1930s. He was part of an elite group of chemists hired by DuPont to explore the possibilities of polymer chemistry. This team also discovered polyester and neoprene, the first synthetic rubber. In 1931 Carothers traveled to Washington DC to present a paper to the American Chemical Society. The paper was titled Fiber 6,6 – the first name of Nylon 6,6. Seven years later, the first commercial product made from Nylon 6,6 hit the market for consumers to buy - toothbrush bristles! In 1939, nylon stockings were introduced at the World's Fair in New York (one of the largest of all time) and became a huge hit. They were far more affordable than silk, they conformed to the leg and they could be dyed unlimited colors. 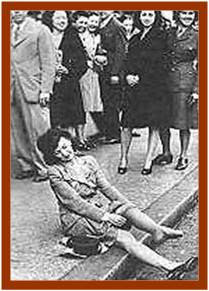 At this point in time, women actually fought over nylons, which they bought for $1 a pair. [Now, you'd have to fight me to make me wear a pair. Funny how times have changed, no?] Then during WWII, nylon became a luxury. It was rationed for military use and served as material for parachutes and artillery belts, a far cry from women's stockings. Talk about a multi-tasking material. In 1953, after the war, Monsanto began manufacturing nylon as a way to diversify its business. Monsanto spun its chemical businesses off into Solutia in 1997, and Solutia still manufactures Nylon 6,6. There's an actual science to nylon that's especially important to us. You see, we specifically chose to manufacture Nylon 6,6 over other nylon chemistries for our carpet fiber which goes into residential as well as commercial carpet. In terms of fiber manufacturing, Nylon begins at the oil well, where crude oil is used to make nylon intermediates. Out of nylon intermediates come hexamethylene diamine and adipic acid [also used as a food ingredient], two critical Nylon 6,6 building blocks that are transformed into nylon salt and then go into yarn manufacturing to emerge as either staple or bulked continued fiber [BCF] for carpet. Once manufactured, fiber goes to carpet mills to be spun into yarn, then tufted into carpet. Did you know that the structure of the fiber itself is important to the final outcome of carpet made with Wear-Dated Nylon carpet fiber? And that Nylon 6,6 is better than nylon 6? Here's why. Because its actual molecular structure is denser, Nylon 6,6 makes a harder and more resilient fiber, able to better withstand soil and dirt, prevent crushing, and offer more resistance and recovery. All reasons contributing to Nylon 6,6 being the carpet fiber most often specified by architects and designers for commercial installations. It's also why we refer to it as the durable fiber! Denier refers to the size of the fiber. There are two types - the size of the individual filament and the total size of a bundle of filaments (the fiber). The Cross section is the shape of the individual filaments of the fiber (we're at a molecular level here). Many of our Wear-Dated and Ultron Nylon 6,6 carpet fibers feature a "mixed denier" cross section where we combine different cross sections to give our fiber the most natural-like luster in the marketplace, and get as close to wool as we can. Our carpet fibers have a trilobal shape - a three-sided shape with a smooth surface and no grooves to attract soil. In fact, the trilobal shape itself actually aids in hiding soil [the first nylon fibers had a round cross-section and tended to draw attention to soil]. 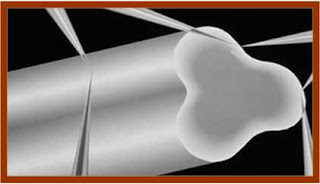 The luster of a fiber refers to the brightness of the fiber. Fiber manufacturers make a wide range of lusters ranging from bright (for residential applications), all the way to dull (for commercial applications). Solutia manufactures Nylon 6,6 fiber in a variety of denier sizes. 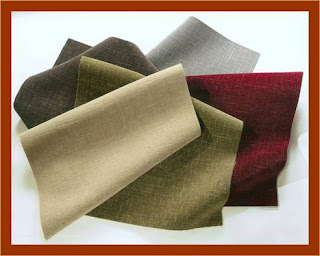 Carpet mills use denier as one of the tools to help them provide you, the consumer, with a wide array of color and styling options. 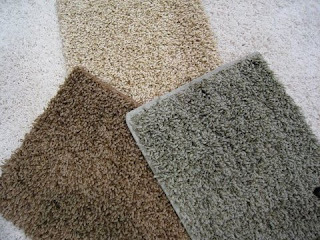 This way, you can choose from carpet styles ranging from velvety soft cut pile to thick, nubby berbers. Little did you know that when you're shopping for carpet, it's important to turn to science before you make a final decision. Groundswell Reviews & Carpetology Testimonials - Thank You! You may know that Wear-Dated entered this blog into the 2008 Forrester Groundswell Awards. It was intense putting together My Forrester Groundswell Awards Submission for the Talking category... But, did I ever learn a lot from the process! On October 29, 2008, Forrester announced the results in 2008 Forrester Groundswell Awards Winners.... No, we didn't win the top spot in the Talking category. However, we did win. We won because our entry generated the most fantastic reviews and testimonials for The Carpetology Blog from you that I could ever hope for - in my wildest dreams! In other words, we won together. I have recaptured them here - all 14 of them - to celebrate what we accomplished together. I found this Carpet blog on YouTube and found it very helpful and informative. I used the carpet cleaning information right away. Thanks for the help! This site is full of everything carpet and does an excellent job of keeping all readers up-to-the-minute within the industry. I love that it is written from women to women, but is still pertinent to men as well. The writers are intelligent and engaging. Very well done! It's educational and entertaining. A great source for all things relating to carpet. great blog!informative, humorous, charming, creatively inspiring. So often in a blog or web information site the vision is narrow. In a industry that has a vast selection process. Products that look the same but truly perform differently. It serves the consumer and the trade well to receive inspiration and direction from professionals that look outside of the simple interest of their product. The trade recognizes performance, however very few are able to address more than one section (theirs) of the industry. Great Job women of Wear-Dated. You have help complete the picture for consumers and trade professionals. The Women of Wear-Dated write a fantastic blog with information that is helpful to both the retailer and the buyer. I learn something from every blog that I read. Keep it up ladies! Having been a part of this industry for over 32 years, I absolutely LOVE how this blog ALWAYS piques my interest by being totally fascinating as well as unpredictable - whether I'm reading about a gym that could have done better listening to customers or an Elvis festival with its own unique efforts at brand building or the latest design trends complete with a photo of the hot pink display carpeting - this blog is fun, educational and inspiring! Thank you Ms. Whittemore and your team at WD for teaching an old dog some new tricks! Ms. Whittemore's advice and insights have lifted her to be the voice and Dean of the industry.She is the one person that consumers and industry wags alike look up to and trust. A remarkable blog and a remarkable woman. Christine is a marekting maven to the nth degree. I have learned more about the consumer experience and how everything around us is trend related. It not only makes me want to go shopping for new carpeting but it also makes me aware of carpeting and flooring no matter the venue! Kudos! Carpetology does a fantastic job of giving consumers helpful, useful and relevant information regarding the carpet industry. It's a great place to get design ideas, the latest styles and colors and general advice! This case study in particular and the Carpetology blog in general does an excellent job of appealing the consumer....the female consumer. A refreshing change of pace to see a group who understands the need to speak/market to women in a unique way....they obviously understand, appreciate and celebrate their target audience! From the very bottom of my heart, Thank You! In reviewing some of the Wear-Dated website stats, I noticed that one carpet stain type comes up repeatedly: How To Remove Grease On Carpet. Definitely a topic for Annette's Carpet Corner! Imagine the following scenario... [this one comes from the Cleaning Tips Forum from iVillage GardenWeb]: your major appliance has stopped working. You call in a repair person who solves all of your immediate problems, but leaves... a grease stain on your carpet. Yikes! What to do? Calling Annette Smith to the rescue with the solution for grease on carpet! You can also find it on the Wear-Dated Stain Removal Guide. First, attend immediately to the stain. Don't procrastinate. Second, get all of your tools assembled before getting started. Remove as much foreign material as possible by blotting with a white paper towel or scraping with a dull knife. Apply isopropyl rubbing alcohol to a clean white cloth, white paper towel or cotton ball. If the spot extends deep into the pile, blot until it is removed or no color transfers to the cloth. Do not allow the alcohol to penetrate the backing, as it will destroy the latex bond. If the spot is on the surface only, rub in one direction at a time. If rubbing removes the spot, blot dry and stack several white paper towels over the damp area. Place a brick or similarly weighted object on the towels to keep them in contact with the carpet. The towels will absorb any stain wicking up from the backing to the carpet surface. Allow carpet to dry, remove the brick and towels, and brush up the pile. NOTE: Never use a circular motion to remove a spot as this may destroy the texture. If you are even tempted, watch A Foot's Perspective - Episode 15: How To Remove A Carpet Stain. Annette cautions that no carpet is immune to some types of stains. If your stain persists, definitely contact a professional carpet cleaner. And, for particularly difficult carpet maintenance questions, Annette strongly recommends that you contact a company that specializes in repairs to determine all of the options available: step #1 is to visit the IICRC for a certified carpet repair resource. NOTE: For expert advice on how to go about removing a carpet stain, do read and watch A Foot's Perspective - Episode 15: How To Remove A Carpet Stain. In fact, you might want to bookmark this one. Image below features postcards by Robert Socha. November's Design Reviews from the Floor Up comes to you from a little design blog that's been around since 2006. It appealed to me first because its title reminded me of Procol Harum's A Whiter Shade of Pale, and second, because, well... it's great. Another Shade of Grey is written by a blogger named Julie and offers simple, understated posts. 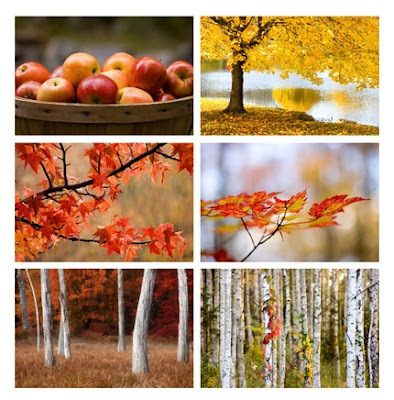 Often, these posts will include only a word or two and a vibrant photograph. Sometimes, she'll simply post a photo of something that inspires her, like a painting or a piece of jewelry. Other times, she'll expound more, expressing just why the piece she's discussing makes a statement or offering a few descriptive words. Always her posts are intelligent and thoughtful; usually they offer a bit of wit and humor as well. 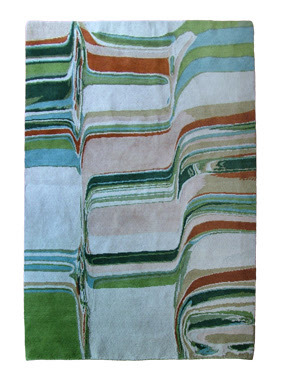 We loved this hand-knotted rug by Anne Reynolds. I think I appreciate this blog most because of its simplicity. There's no excessive rambling - just good design and good conversation. Julie has a solid following of people who respect her and her findings, sometimes commenting, sometimes not. That being said, I leave you to enjoy Another Shade of Grey. More good design next time with Design Reviews from the Floor Up. After a long campaign and an even longer election day (or so it seemed), Barack Obama was named President-Elect of the United States of America. Because this election was historic in so many ways, we wanted to acknowledge it by wrapping it up in a style all our own... through more election carpet stories! The Red Carpet Fashion Awards, a blog that discusses high-end fashion, discussed Michelle Obama's red and black dress in its Runway to Election Night post and debated whether or not it was indeed a Narciso Rodriguez. "Michelle Obama wore a black cropped cardigan over her black and red ombre dress which had a criss cross black satin detail cross her waist - which is very much a Narciso Rodriguez trademark - when it was confirmed that her husband was indeed the President of the United States of America, at a gathering in Grant Park in Chicago, Illinois." (It was indeed a Rodriguez, although fashionistas everywhere expressed mixed opinions about it). In Missouri, the House of Representatives' Chamber is about to receive a makeover. According to an article from the Associated Press, "The Missouri House will be rolling out a brand new red carpet for lawmakers coming to the Capitol for the 2009 session." Chosen to resemble the Capitol's original carpet, it will feature a pattern of yellow circles on a red background. Pre-election, Sarah Palin came to St. Louis to throw out the first puck at a St. Louis Blues hockey game. So the story goes, the stadium rolled out carpet from the Blues bench to center ice for Palin and her family. Blues goalie, Manny Legace, was the first player out on the ice before the ceremony, was warned of the carpet, but it slipped just as he stepped onto it. Although he played during the first period, his strained left hip flexor proved too painful for him to continue. Never fear - he should be ready for the team's upcoming West Coast trip. A blogger with the U.K.'s Guardian newspaper discussed a topic that we've actually covered here at The Carpetology Blog in a post called Presidential Design & Carpet: "The Oval Office carpet." "George Bush joked that the first decision of any new president is what kind of carpet he wants. So what kind of rug will Barack Obama choose?" 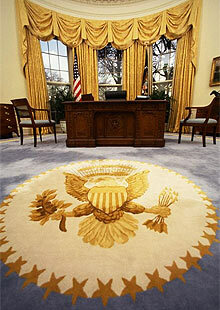 Each president designs or chooses the carpet that is found on the floor of the Oval Office. In Change is coming... to the Oval Office rug, Matthew Weaver discusses the fact that each president's carpet is different (George W. Bush's carpet was designed by Laura, Gerald Ford went 70s casual with his brown rug) and ponders what Obama will choose. And now, we wrap up another hard-hitting report on election carpet. We wish all of our lawmakers and President-Elect Obama the very best in the years to come... and may carpet inspire them! Today's episode of A Foot's Perspective comes from the Wear-Dated and Ultron office in Kennesaw, GA.
What's most wonderful about visiting our office it that it's all about carpet and carpet style ideas... The ideas range from carpet concept samples and new carpet introductions, to carpet on the floors, carpet on the walls, and the building blocks of carpet as art. As you enter through our main doors [these are glass so you can view what lies beyond], you come face-to-face with this dramatic display pictured to the right. It's a celebration of color and yarn, surrounded by residential and commercial carpet samples [see photos below]. As I mentioned, this display immediately faces the front entry double doors. To the right side, you find the Ultron commercial carpet style wall and to the left, the Wear-Dated residential carpet style wall. On the floors, we showcase a wide variety of wonderful carpet styles and patterns. Even on the walls we feature carpet! You'll notice artwork created completely with carpet as well as framed pieces celebrating the winning concepts submitted to our yearly Doc Award Competition. Have you heard about it? The 2008 Doc Award Competition is underway right now. We've named the judges and now we're eagerly awaiting to hear about the results. The Doc Award Competition is named after Robert F. Docherty, also known as “Doc.” He spent most of his 30-year career at Solutia focusing on the contract interior design market. He was a true pioneer in that he was among the first to recognize the importance of interior designers and went about establishing relationships with professional associations such as ASID and IIDA. This was unheard of at the time. He also pioneered the use of carpet in education and healthcare, and funded research that resulted in the first use of carpet in patient care areas. Imagine doing all of this starting back in the 1960s. The Doc Award Competition was established in 1988 to "recognize outstanding achievement in contract design." It takes place on an annual basis with selection made by an independent jury of recognized architecture and design professionals and "honors superior achievement in contract projects that orchestrate color, space, form, function and materials with consummate finesse. In addition to honoring project design, the competition also honors carpet mills for outstanding achievement in product design. Carpet products are judged based on originality of design, overall aesthetic, pricing and usability in the contract environment." I'm in awe every year when the results are announced. In the meantime, please join me for this episode of A Foot's Perspective and a walk through the Wear-Dated office in Kennesaw, GA to experience how we celebrate carpet. For the most recent episode, visit A Foot's Perspective - Episode 15: How To Remove Carpet Stains. Or you can scroll through previous blogposts with links to all previous episodes of A Foot's Perspective. Image at right from PoliticalTicker.blogs.cnn.com. With such a complete takeover of election coverage in the media in recent months, The Carpetology Blog has felt a little left out. So today, we're throwing our (carpet-covered) hat into the ring as well. Last year in September, Oprah Winfrey rolled out the red carpet for Senator Barack Obama. Apparently, her little soiree included 1,500 guests and cost $2,300 to attend. "Stevie Wonder performed for guests, who included Sidney Poitier, Forest Whitaker, Chris Rock, Cindy Crawford, Jimmy Connors, Linda Evans, Dennis Haysbert and many others." The Evil Beet asks when Hollywood's closet Republicans will sport McCain t-shirts on the red carpet. There seems to be an overwhelming number of Obama tees worn by celebutainers these days. The Stump accuses Obama of carpet-bombing the airways in this brief post from July 10. At that point in time, he was spending $2.8 million on advertising each day. As of Oct. 15, this number had risen to $4.5 million. 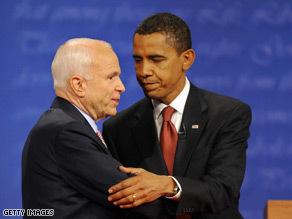 According to blogger Anna Pickard of the U.K.'s Guardian, the carpet used during Obama and McCain's second debate (the town hall style) was a shade of Eye-Stabbing Scarlet, "the ugliest red anyone had ever seen." You can take a look at a very dapper Senator McCain in a TIME Magazine red carpet interview here on YouTube. Oprah isn't the only big name star who's willing to drop a few dollars for Obama. According to an AP article from June, "the campaign trail is taking a detour down the red carpet." More of Hollywood's finest came out for a gala in Obama's honor, some paying $28,500 for a VIP dinner ticket alone. Image at left credited to Richard Perry/The New York Times. Recently, Blog Really claims that "Palin calls McCain out on the carpet for folding his hand in Michigan." Is this a shrewd political tactic or a regrettable gaffe on Palin's part? You decide. So there you have it - our very fuzzy take on 2008 presidential election coverage . If you happen to run across any other squares of carpet news, please make sure you return here and pile it on our comment section. What a Bathroom Blogfest '08 week it has been! Elizabeth and I were busy, but we really enjoyed contributing ideas and blogposts. Thank you so very much for participating with us. We greatly appreciate it and hope you enjoyed it, too!